What is it about the “blue” shirt? And how does one qualify to own one? Answer: To own a blue shirt with the back label that says: “Committed To Serve God” – makes an Adopted Minister feel a “sense of belonging” to something that God had made for them. 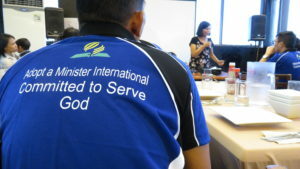 For so many years, before Adopt a Minister International was created, hundreds of theology graduates in the Philippines felt abandoned, unwanted and discouraged because the local missions do not have funds to employ them. Today, the local missions still do not have the funds to place them, but through the donations that you send to Adopt a Minster International, they are placed in the work with stipends. The majority of our adopted ministers came to know Jesus when they were young and had attended a crusade in their place. Most of them started as the first Adventists in their families (but today, their families have accepted the truth). They went to Theology College as working students that took them more than the regular 4 years. Many spent 5 to 9 years working as guards, working in the farm or poultry, other work at the college. 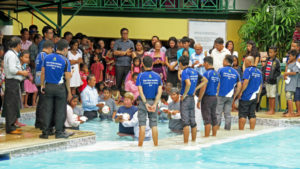 (We have 5 Adventist Colleges/University in the Philippines.) These working students did not eat at the college cafeteria. They cook their own food, mainly rice and veggies. In the past years, I had received letters from hungry students scrounging around garbage cans. When we had extra funds, we had food-giving to working students at Central Philippine Adventist College. The “adopted” ministers are united and they help each other. I learned about this during my Philippine trip last month. We have an adopted minister (Robert Guelos) who is going through dialysis 2 times each week. He has no money for the procedure and so each adopted minister gives P400 ($8) from their small monthly stipends to help Robert. I saw Robert during the Get-together and he does not look good. He was admitted at the hospital last month. Thank God, he is home now. I also met an adopted minister (Elias Remotique) who had open heart surgery two years ago. 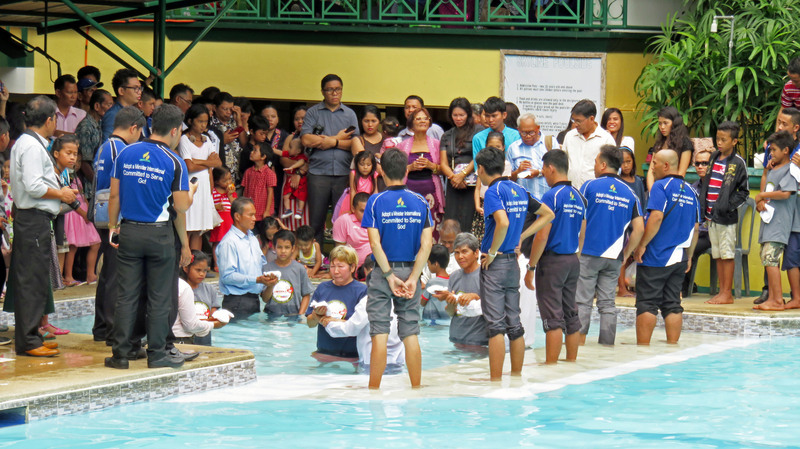 Darlene Sabandal, our Philippine Coordinator asked the help of brethren and our adopted ministers. The cost of Elias’ surgery was $6,000. Praise God, Elias is well today. He was our driver while I was in Davao. I just wish to share this with you tonight. These amazing, hard-working young workers of Jesus are truly dedicated in “preparing a people” for our Lord’s soon return. Please help them with your prayers and donations. It is now first week of April, but we have received only half of the total amount for March stipends. We are praying for Jesus to bless you all so you can help them share the “good news” and have funds to provide for their families.